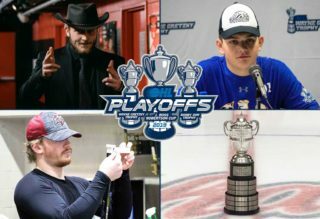 The 2019 OHL Playoffs are upon us! Here’s a look at what’s happening across the league. 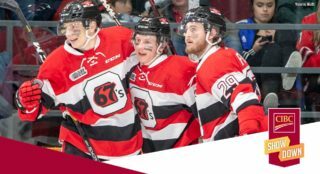 Enjoy unparalleled coverage of the 2019 Ontario Hockey League Playoffs with OHL Live. New playoff packages are now available. Visit OHLLive.com for full details. Four first round playoff matchups will be played under Sportsnet’s national spotlight over the next week showcasing six of the league’s 16 remaining teams. Perlini, McDavid named NHL Stars of the Week: Niagara IceDogs graduate Brendan Perlini and Erie Otters graduate Connor McDavid have been named the NHL’s second and third stars of the week respectively. Perlini shared the league lead with five goals to help the Chicago Blackhawks extend their overall winning streak to five games and move within five points of the final playoff spot in the Western Conference. McDavid led the NHL with nine points in four games to power the Edmonton Oilers to a pair of wins. Get the full scoop on their performances at NHL.com. Stamkos becomes leading goal-scorer in Lightning franchise history: Sarnia Sting graduate Steven Stamkos became the leading goal scorer in Tampa Bay Lightning franchise history on Monday. Stamkos lit the lamp for the 384th time in his NHL career as the Bolts defeated the Arizona Coyotes 4-1. Stamkos surpassed Vincent Lecavalier with the milestone marker, scoring his 36th goal of the season. The 29-year-old centreman has 82 points (36-46–82) over 73 games this season. Originally the first overall pick of the 2008 NHL Draft by the Lightning, Stamkos enjoyed a two-year career in Sarnia, recording 197 career regular season points (100-97–197) over 124 games. Jordan Staal records 500th career point: Peterborough Petes graduate Jordan Staal recorded the 500th point of his NHL career on Saturday, scoring a goal in a 4-2 Carolina Hurricanes victory over the Buffalo Sabres. The 30-year-old centreman from Thunder Bay, Ont. has 18 points (7-11–18) over 40 games with the Canes this season, contributing to a career total of 213 goals, 287 assists and 500 points over 883 regular season games. Staal was the second overall pick of the 2006 NHL Draft by the Pittsburgh Penguins. He won an OHL Championship with Peterborough in 2006, recording 96 points (37-59–96) over 134 career regular season games. Foegele playing role in Hurricanes resurgence: Erie Otters graduate and former OHL Playoff MVP Warren Foegele is turning heads with the Carolina Hurricanes. The 22-year-old has 12 points over 69 games for the Canes who are looking to secure their first postseason berth since 2008-09. The Markham, Ont. native played two OHL seasons between Kingston and Erie, winning an OHL title with the Otters in 2017. 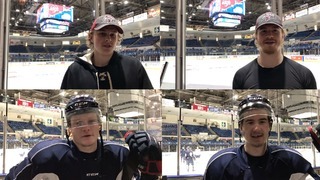 NHL.com‘s Mike Morreale has more on Foegele’s development. Strome excelling with Blackhawks: Another Erie Otters graduate and former OHL champion, Dylan Strome’s NHL career has taken off since he joined the Chicago Blackhawks earlier this season. 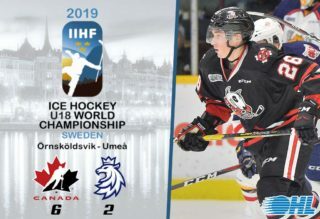 The second of three Strome brothers to play in the OHL, Dylan has 44 points (14-30–44) over 48 games with the Hawks this season, improving upon six points over his first 20 games spent with Arizona in 2018-19. 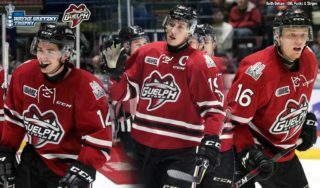 The 354-point OHL scorer played four seasons in Erie from 2013-17. Visit sportsnet.ca for the full story. Bracco named AHL Player of the Week: Windsor Spitfires graduate and former Memorial Cup champion Jeremy Bracco has been named AHL Player of the Week. The Toronto Marlies winger had four multiple-point games last week, totaling two goals and seven assists for nine points. A second-round selection (61st overall) by Toronto in the 2015 NHL Draft, Bracco leads the AHL with 51 assists and is tied for second with 69 points in 64 games for the Marlies this season. The 22-year-old from Freeport, NY played two OHL seasons between Kitchener and Windsor, recording 147 points (46-101–147) over 106 career regular season games. 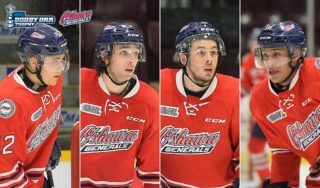 Abraham retires a champion: Erie Otters graduate Spencer Abraham has announced his retirement after hoisting the Queen’s Cup as an OUA Champion with the Queen’s Gaels men’s hockey team. The 26-year-old Burlington, Ont. native played a full five seasons at Queen’s finishing as the program’s career leader in points by a defenceman while also earning the Clare Drake Award as U SPORTS Rookie of the Year in 2015. A former 15th round pick in the 2009 OHL Priority Selection, Abraham went on to enjoy a four year OHL career between Brampton and Erie from 2010-14. Abraham received his undergraduate degree in Classical Studies in 2017, and will advance to receive his law degree from Queen’s in 2020. For more on his career at Queen’s, visit queensjournal.ca.